It takes a certain kind of person to see beauty in a bedraggled, wet, mostly dead garden on a cold and damp October afternoon. I had already been rained off once and with only a week in the UK and six gardens on my list to visit, I wasn’t going to be deterred. On the day I flew back to Australia, my extremely kind parents drove me all the way to Gloucestershire to see the renowned Hidcote gardens. As I write this on the plane home and reflect on the four big gardens I saw this week (Sissinghurst, Great Dixter, Wisley and Hidcote), Hidcote stands out for its natural planting around the outer reaches of the garden. It is quite possible that in mid summer I would have swooned over the perennial borders but having been spoilt with these all week, the more rustic areas were the real highlight for me. 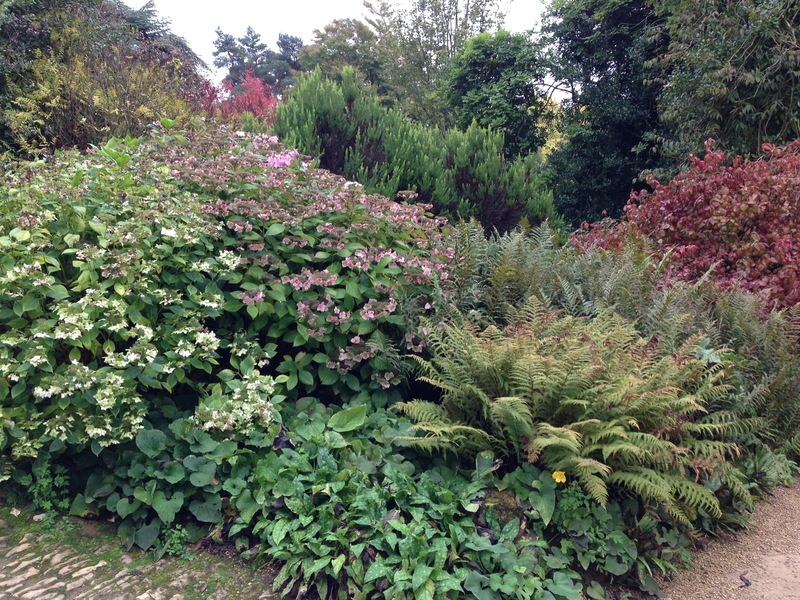 Furthest from the house, ‘The Wilderness’, ‘Stream’ gardens and ‘Hydrangea Corner’ really captured my imagination. Meandering, sloped pathways made from small Cotswold rocks took me through these more wild areas, where you could almost imagine the plants had self seeded in exactly the spot that was perfect for their needs. I remember reading, a long time ago, that putting plants in places where they thrive (particularly thinking of light and moisture levels) is also the route to skilful design. 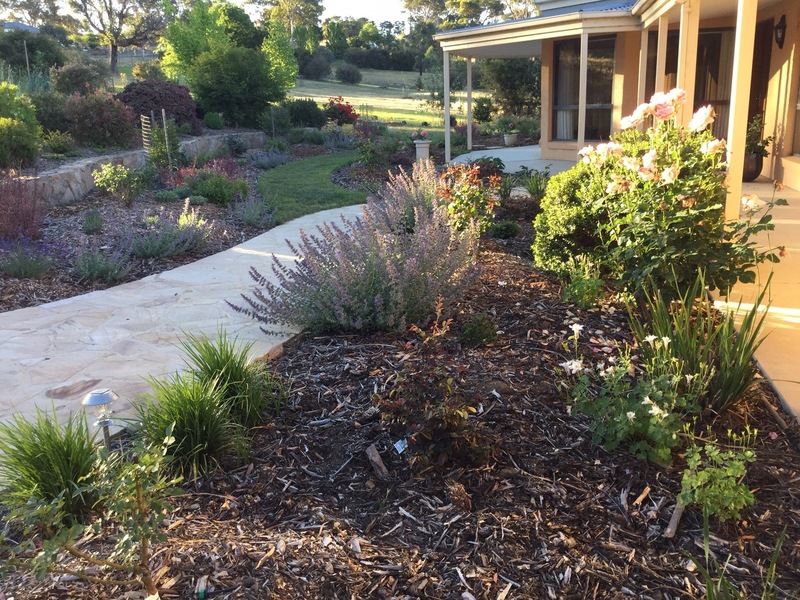 The thinking being that the design will automatically look right if plants are in their natural environment. At the time, I thought that it was a useful guide to bear in mind, but assumed that this would only be helpful in the initial stages of my learning – my ambition was to be so good at design that I would be beyond such guidelines later on. 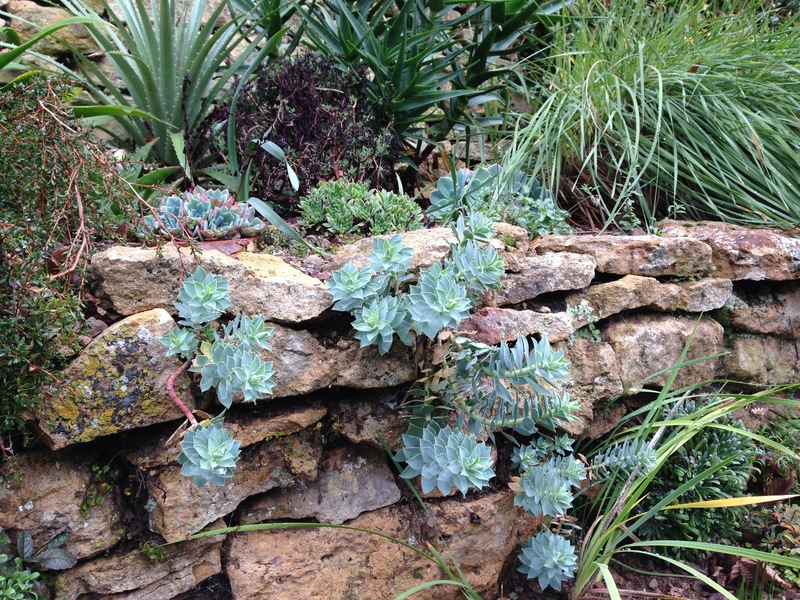 Euphorbia growing in the dry stone wall at Hidcote – the perfect environment for a plant that hates wet feet – I think this is so sweet! As is often the case, it is only later that you realise how wise the advice you have been given really is. 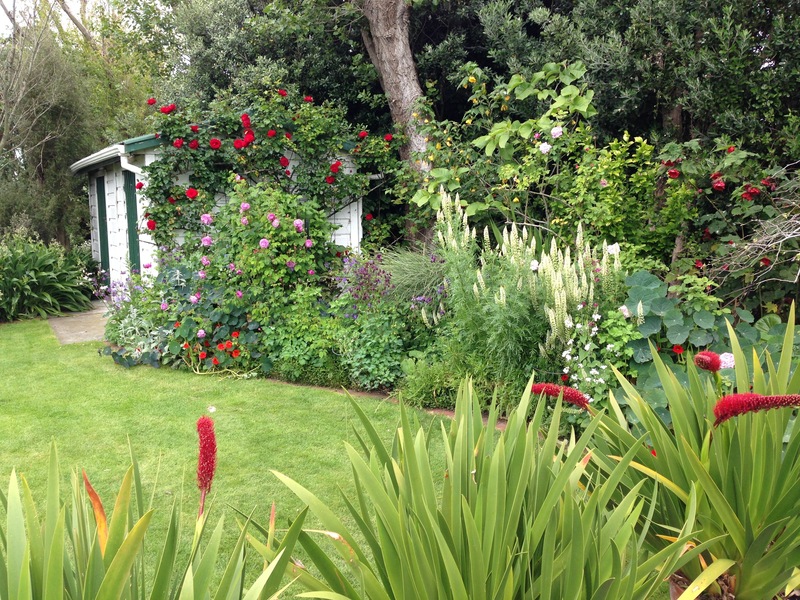 The longer I design for, the more I love a garden that fits its setting – on both a micro and a macro level. 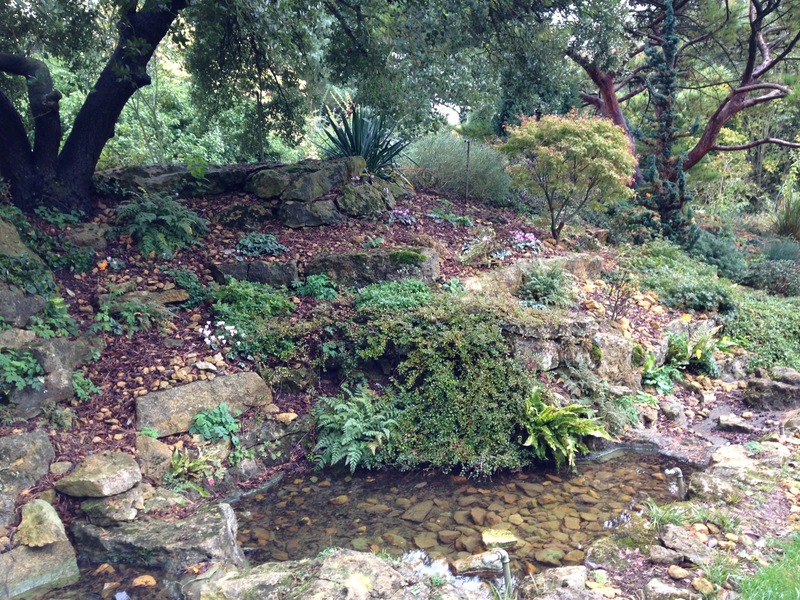 Hidcote is fortunate to have a stream running through it as well as gentle banks, slopes and undulations. It adds so much to the character of the garden and it is lovely that these natural contours have been retained, worked with and fully taken advantage of. Another natural feature which has been utilised is the shade created by many large trees on the property. 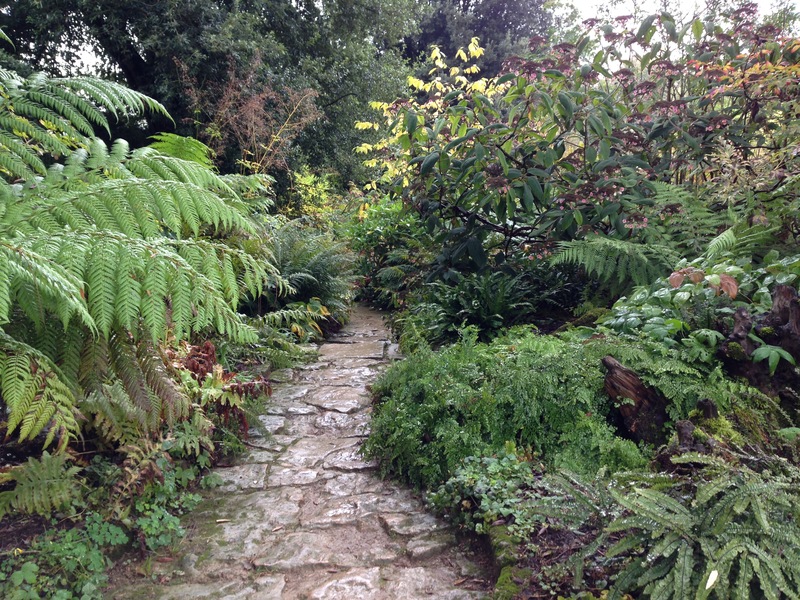 Here a stunning shade loving garden has been made with massed ferns providing strong textural contrasts. There is even an Australian Dicksonia tree fern in a protected spot, to the left of the photo below! 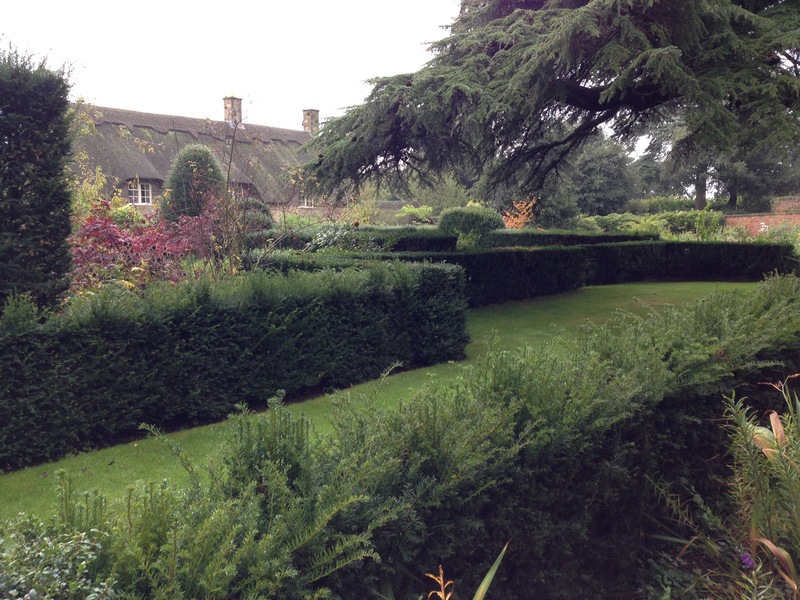 Whilst the natural areas are more unique to Hidcote, we should not forget the more formal areas too. 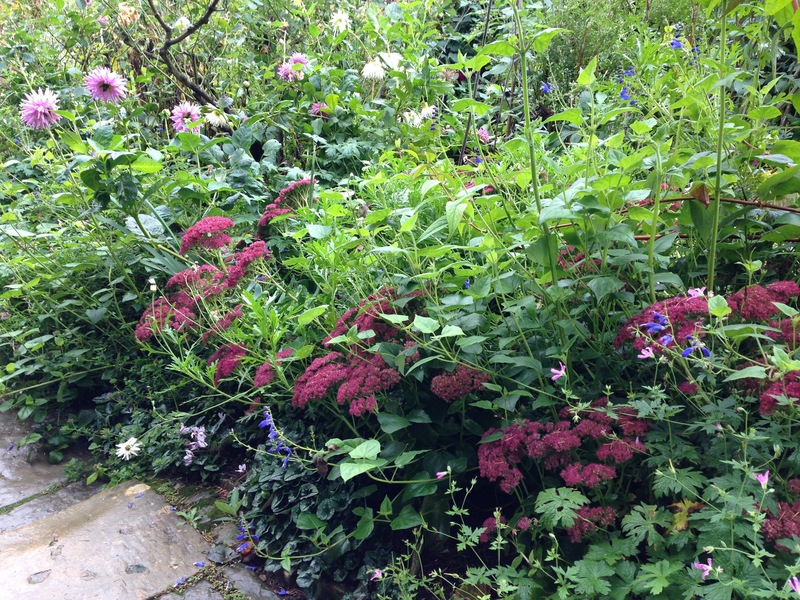 Dahlia and Sedum giving autumn colour at Hidcote – I do wish my Sedum faded to this wonderfully rich colour! To summarise my tour of English gardens, Sissinghurst has an immense historic sense of place, Great Dixter has exuberance and fun, Wisley has a wealth of ideas spanning the whole spectrum of horticulture and Hidcote has its natural, wild, perfectly balanced sense of place. How spoilt I am to have seen them all this week! 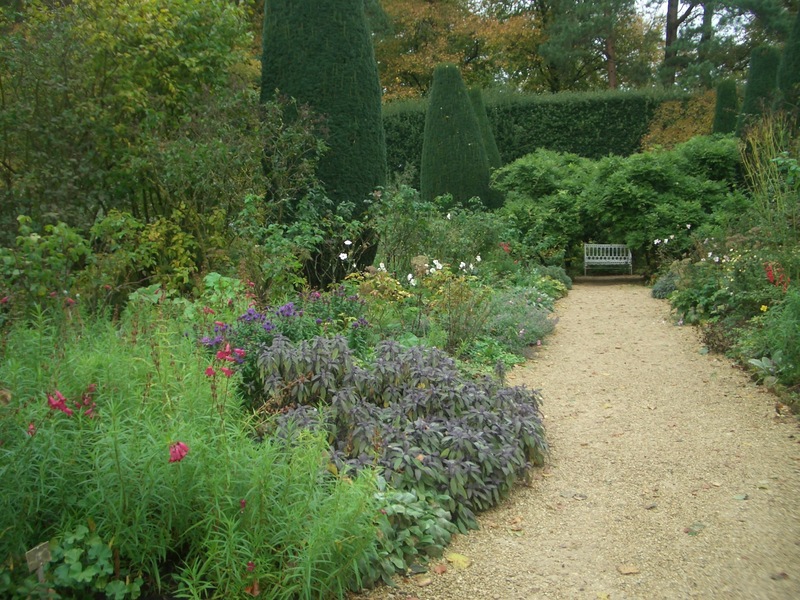 Thank you Janna, I have just relived our pleasant afternoon at Hidcote in 2001, even buying some Hidcote lavender plants. 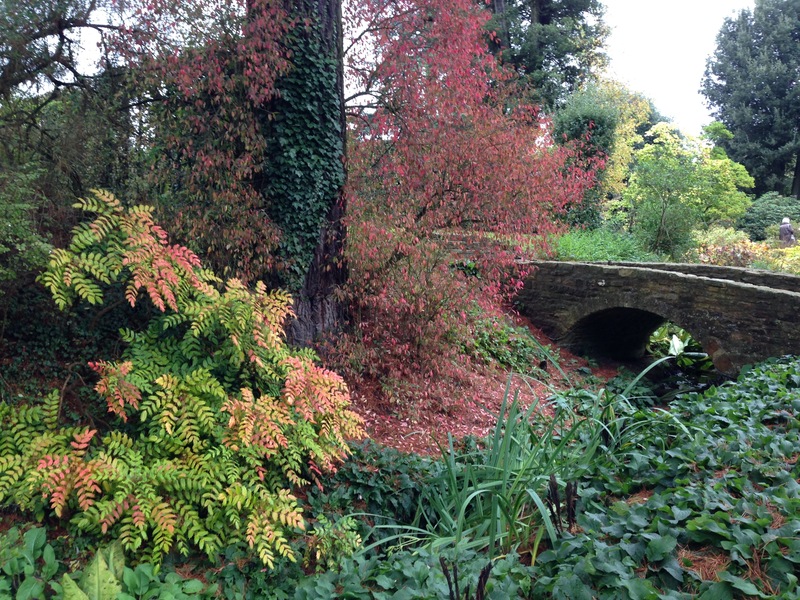 The autumn colours are most attractive. I am jealous that you bought plants on your trip, Dorothy. It took enormous willpower to bypass the plant shops at all these gardens, but I thought both British Airways and Australian Customs might have something to say about me bringing a wheelbarrow full of plants home with me! 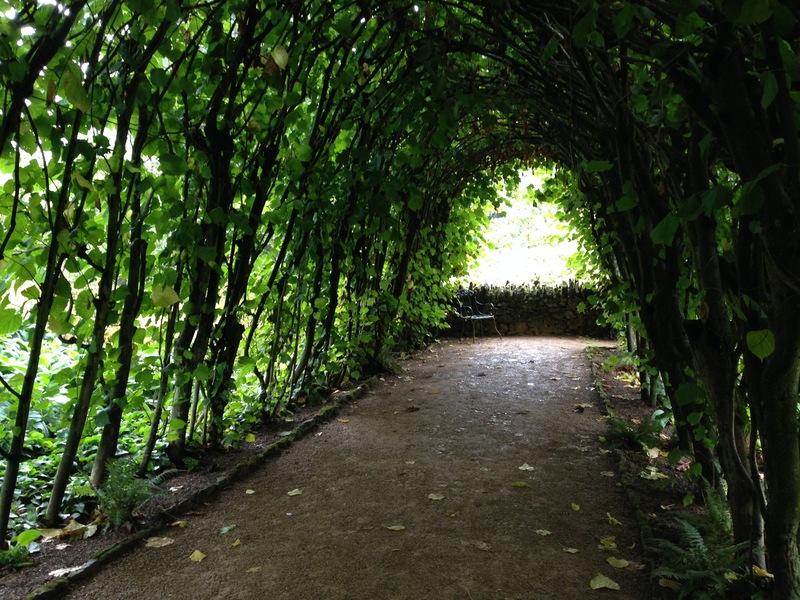 I think it may well be 3m, but it is definitely much, much narrower than the Wisley borders. I will be needing to add your garden to my list, Adriana. Hidcote is a fabulous place – I think you went on a good day by the looks of your photos – not so crowded with people and I think more inspiring when not everything is looking so manicured! I too loved the wild areas and the vistas to the countryside beyond. Must go back again sometime…why are we designers busiest when we want to be out there getting inspiration! It was great that none of the gardens were busy. Just a shame that I could only stay in the UK for one week – as you say, Lisa, everything happens at once for us! 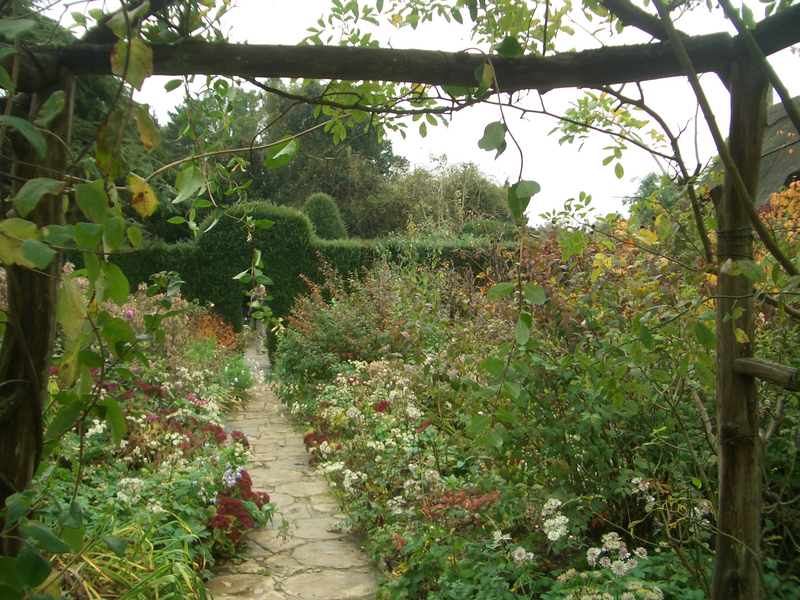 I’m looking over so many of your past posts and stopped at this one of Hidcote. I’ll be there in end June and now am even more eager (if one can be!) to see it. And I loved your two posts re. 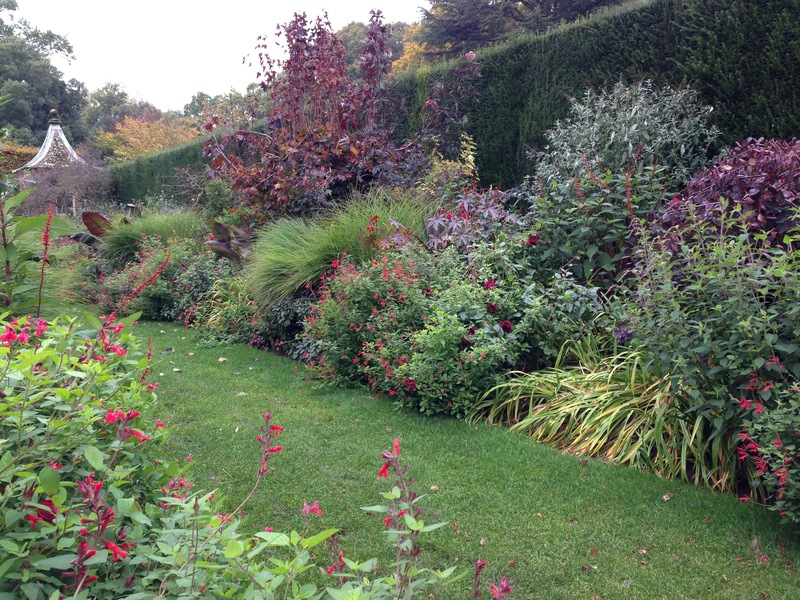 Sissinghurst: I was there just about when you were, in early October 2014. I think of it so very often. I would like to go back in early summer to see the changes; but autumn was delightful!. 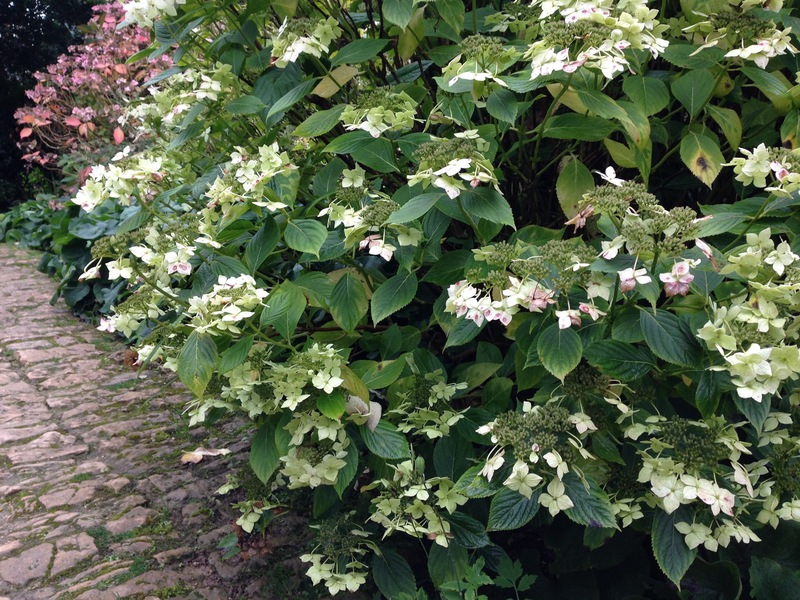 How exciting that you will be visiting Hidcote this year, Libby. I’d love to get back there again (preferably earlier in the season next time), but I think this summer is going to be extremely busy with our move and the completion of my Masters’ degree. I do hope you enjoy your trip – I very much look forward to reading about it!